Troutrageous! 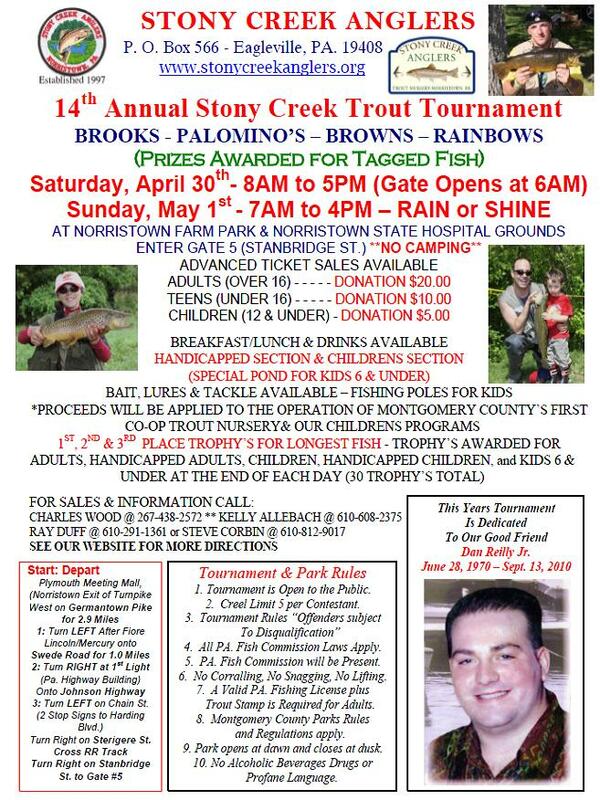 Fly Fishing & Tenkara Blog: The Tournament's This Weekend!!!! 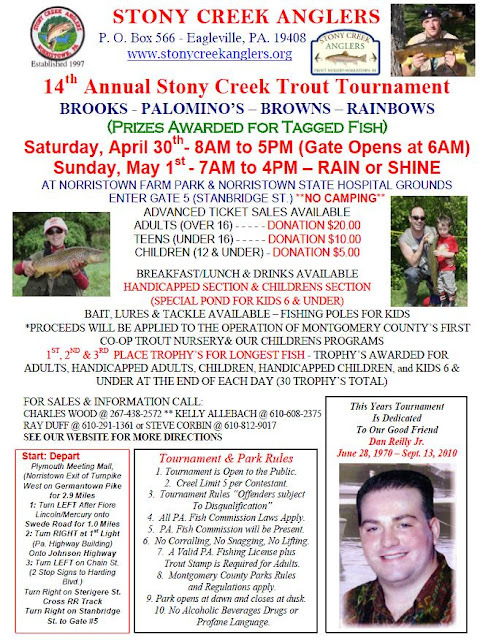 Please excuse me as I use this this space to advertise my trout club's (the Stony Creek Anglers) annual signature event yet again. I know...it's a re-post, yuk...but it's only a few days away and it's now or never. So...rather than posting here, today's hijinks will take place over on Facebook & Twitter. "Like" and/or "Follow" and you'll be in "the know." wish I could join in the fun. They don't have a whole lot of events like this around here where I live. Good Luck and lots of fun. Hey Mike, good job there. Hope this turns out to be very successful. Looks like a fun event!! Good luck with everything!